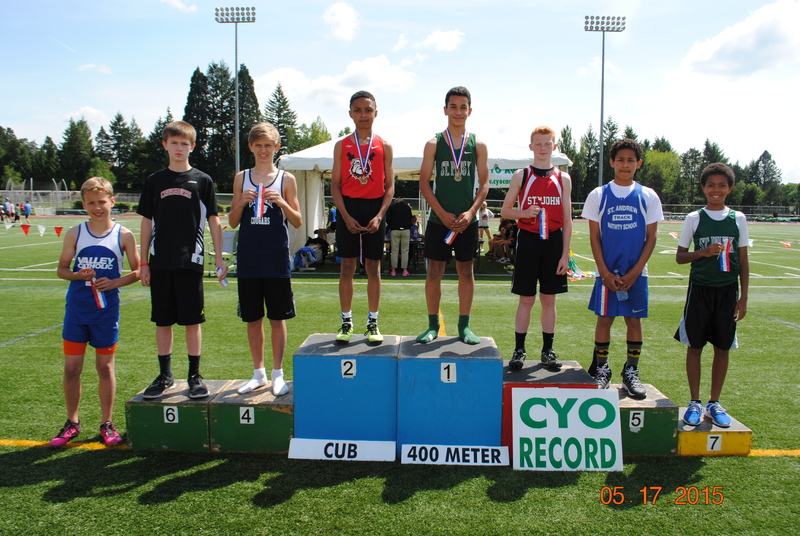 The Cub Boys 400 Meter Dash was a thrilling race with two cub boys breaking the old record set by St. John the Apostle runner Tristan Welch in 2008! The old record was 58.66. Denzel Pinto’s new record is 56.90. 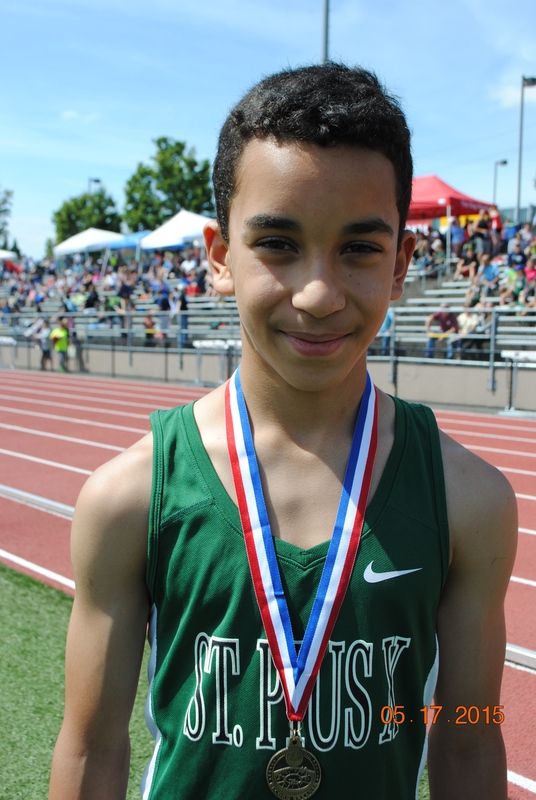 He shaved nearly three seconds off of his best seeded time coming into the event. Nathan Mouzong also broke the record with a time of 57.38. Congratulations to both boys! 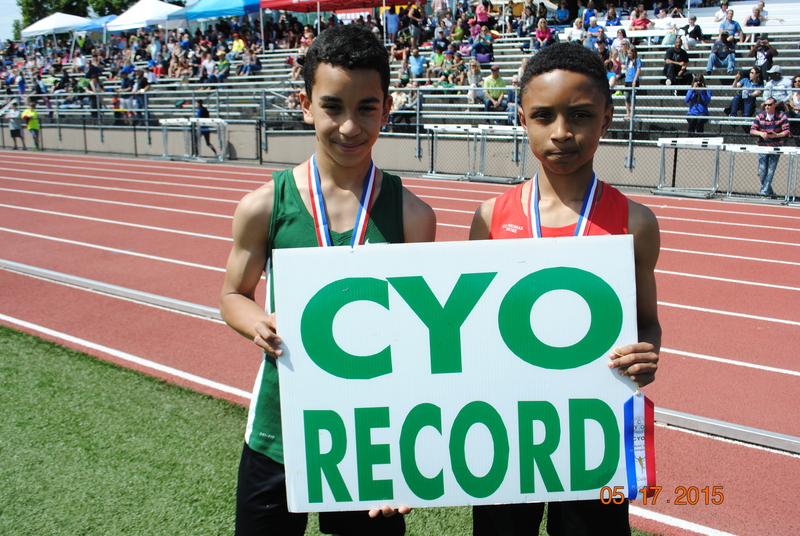 Denzel Pinto and Nathan Mouzong break the CYO Cub Boys Record for the 400 Meter Dash.